This first line that stretched outside the door was filled with those who had no plan for their life. In this line were people who just lived their lives day by day, no plan, no sense of urgency, just existing. Many in this line were hoping to get a handout or help from the owner of the storehouse. Every blue moon the store owner would toss the folks in this line a bone, but clearly it was nothing worthy of staying in this line. This line was also cloaked so those standing in it could pretend to be anything or anybody they wanted. Basically, something to keep them occupied while they stood in line doing nothing. They dreamed of hitting the lotto, finding a bundle of money or getting rich through inheritance – anything but earning the living themselves. Once inside it was easy to see that there were several other lines. The line closest to the first line didn’t have as many people in it, but it had an equal share of minorities as did the first. Of all the lines in the storehouse, the first and second lines had far more minorities per nationality. In the second line were folks who actually had a plan, but a combination of things changed the course of where they were going. Some had problems from within themselves. They doubted themselves or just didn’t have the proper nurturing growing up to believe they could succeed. These folks were also stifeld by outside influences. Empty promises, prejudices, storehouse rules and other people in the same line and the first line seemed to be the largest contributors. It seems as though both lines were taught to discriminate against each other. They never hated their oppressors, just each other. The third line was the first true productive line and it was set on an incline. 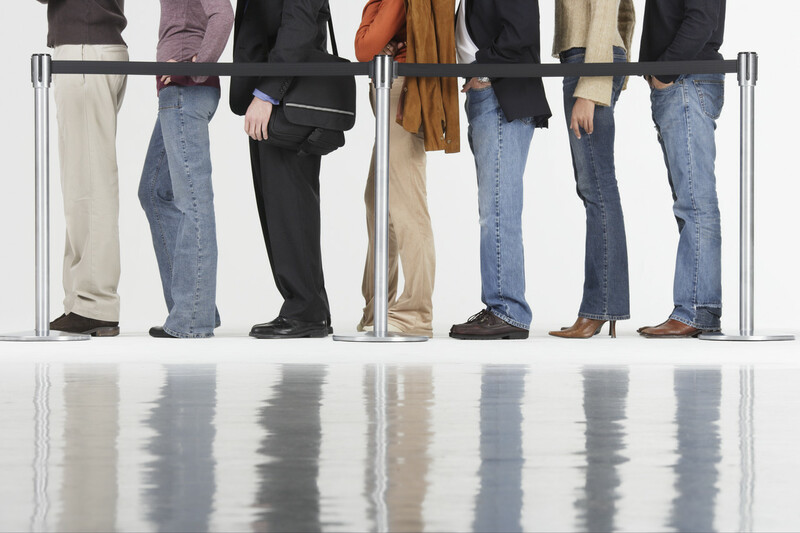 It was harder to advance in this line, but just by the fact that you were in this line had certain benefits. This line lived better than the first two. The folks in this line knew more about line rules than the others. They knew not to get into the first two lines. They knew that the harder line would have the incline, but it would also have the greatest benefits. These people designed a plan and worked diligently to execute it with success. At first glance inside this storehouse, it looked like there were only three lines, when in actuality there was a fourth line. Instead of having a traditional line where people would line up behind each other. This line (if we could call it that) was simply a wall and a rope. The rope was very thick and rugged. The rope didn’t even look like anyone had used it to climb, but it was there. Occasionally some folks from the third line made it over to the fourth line, but the rope was just too rugged and thick for climbing. Many fell attempting the climb. The store owner was of the privileged in this line. When you asked anyone in the fourth line how they got over, they all respond with the same story: They fought through until they got to the top of the wall and then jumped over. There are lots of rumors about the fourth line. No one in the third line believed their story and even some in the second line questioned it. Evidence has been gathered of a trampline behind the wall in the fourth line. So are these guys really climbing or is there a secret to their success? What does this parable mean to you? Previous Post Voting is a right, right?